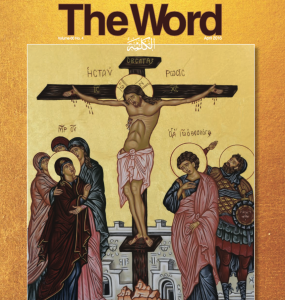 FOCUS’ own YES leader Kamal Hourani was featured in The Word Magazine’s March issue. Click on the image blow to read the story! “We recycle kitchens and repurpose them for the greater good. Not only because it’s an eco-friendly and savvy way to renovate, saving homeowners thousands of dollars on their renovation projects, but because contributing to the vital work of charities like FOCUS is one of the most worthwhile endeavors an individual or organization can aspire to,” said Steve Feldman, President of Renovation Angel. Click HERE to read The Daily Ardmoreite article from November about the Renovation Angel’s support of those FOCUS serves. 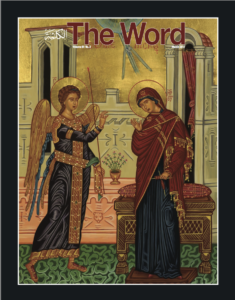 Click HERE to read the OCN article from August about the Orthodox Youth Service in Cleveland. 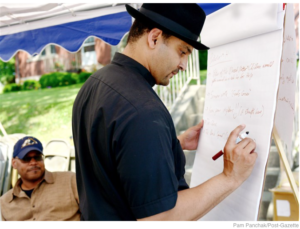 FOCUS Pittsburgh began a conversation about community trauma about five years ago, according to Director Rev. Paul Abernathy. “We really began to ask are we healthy enough to sustain opportunity. People get jobs, they lose jobs; they get housing and lose housing,” Abernathy remembers. “It was really an incredible moment because what had happened, people had shared such incredibly raw stories, it essentially de-stigmatized the issue,” he says. Click HERE to read the Next City article about the Trauma-Informed Community Development Initiative. “Trauma-Informed Community Development grew out of research that found underlying causes of violence, homelessness, joblessness, poverty, addiction and abuse in exposure to chronic emotional stress and trauma. The premise is that if people can get help digging out from trauma and start to heal, they can get their own traction to improve their relationships, the well-being of their block and what happens on it, Rev. Abernathy said. Click HERE to read the Pittsburgh Post-Gazette article from this past Sunday about the Trauma-Informed Community Development Initiative. Sergeant Tim M. of the Cleveland Police Department called St. Herman’s house a “one way ticket to Heaven.” This comment was made after officers helped a woman feed her children through St. Herman House – FOCUS Cleveland in the middle of a cold February night. Watch the video to hear the whole story. 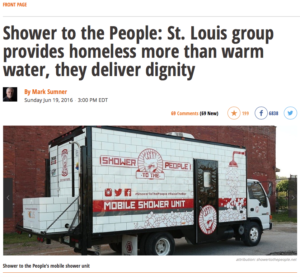 FOCUS’ Jake Austin and our Shower to the People program are featured on the front page of the St. Louis Post-Dispatch. 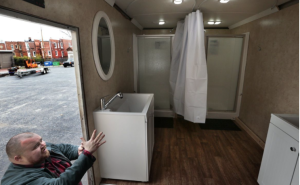 Check out the story and how FOCUS is bringing hygiene, help and hope to those who need it most.